The month of May! Of course I must celebrate for the WHOLE month, what girl doesn't? And if you don't, well now you should! 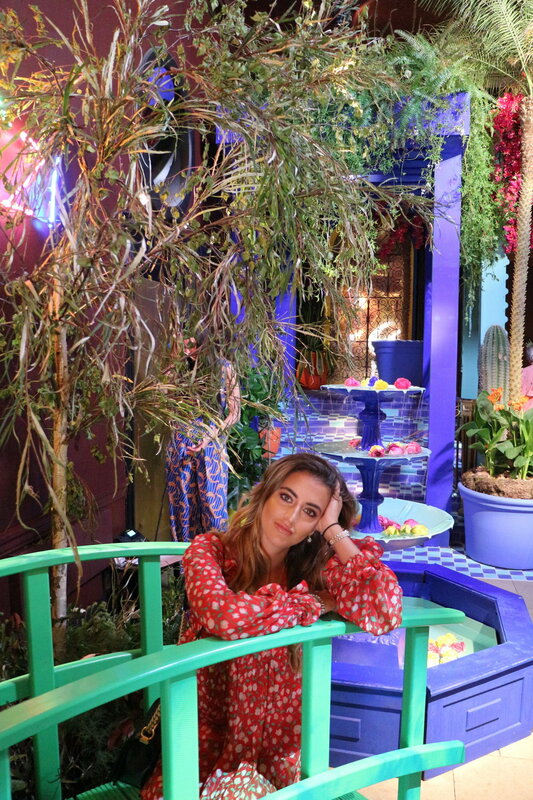 I kick started this month with Chelsea Flower Show, visiting an exhibit at Sketch, and afternoon tea at Claridges, one of my favourite things to do, I just love an egg & cress finger sandwich! Afternoon tea is by far one of my favourite things to do, oh wait, I've already said that! That's how much I love it. 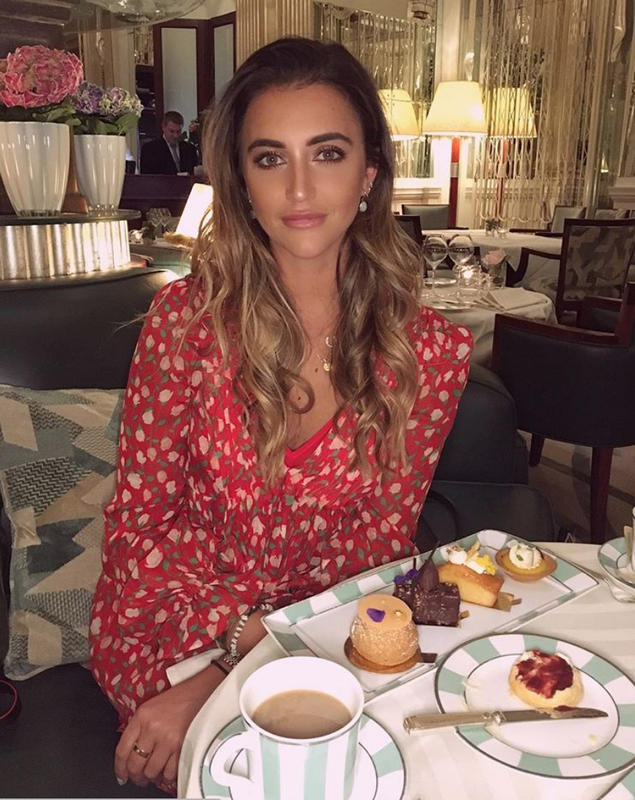 I was lucky enough to get a seating at Claridge's after visiting Sketch's exhibit for the flower show, and I was not disappointed. Although, I rarely am disappointed with Claridge's sandwich selection! Okay so afternoon tea is a steep £60 for a sitting, but this includes a glass of champagne and unlimted sandwiches! Yes, you can literally keep ordering more of everything! If you've been following me a while then you'd know that I am a massive Harry Potter fan! 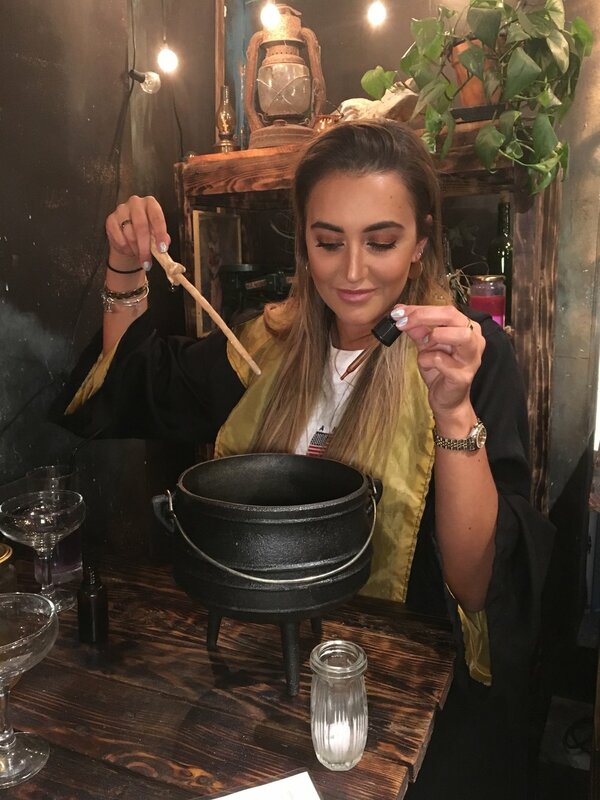 I had a special surprise from a good friend of mine, which was to go to The Cauldron in Shoreditch for a wizard experience cocktail bar. I WAS OVER THE MOON! I could be a wizard for an evening, robe and all and nobody would judge me! YES! So, firstly you go into the bar, and cloak up, and you get set at your table with your wand, which really is interactive. You're given instructions on how to mix the really strong alcoholic cocktails, and tap this and that and it's all interactive, the wand works! (well with magnets, but it's working!) For £30 this is an experience worth doing for all Harry Potter fans! You get to chant spells out and turn taps on and pour out your own cocktails. There's also a side menu to order cocktails from which hizz and fizz and burst with glitter.